This was an extraordinary moment in American history. Just extraordinary. Thank you Mr. President. Thank you. The full, 18 minute video can be seen here, and the transcript is below. He talked about the need for us to remember historical context, he talked about institutionalized racism, he said it was unlikely that a white Trayvon would have met the same fate, and he actually said the words “If Trayvon Martin had been of age and armed, could he have stood his ground?” I’m overwhelmed by this. Possibly the most telling moment in the above clip, however, can be found at the 1:19 mark, where the President of the United States slipped into present tense and, discussing people locking their car doors at the site of a black man, said: “That happens to me.” Remarkable. 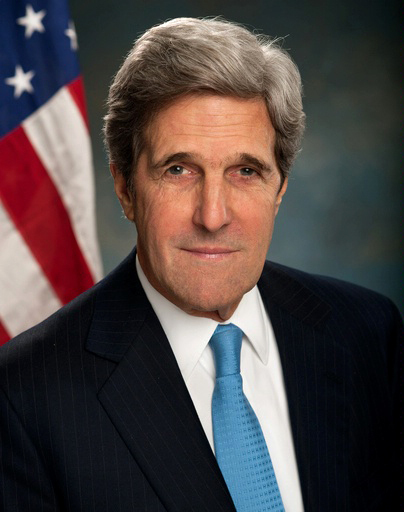 Kerry: Unliateralism is bad for Israel. All in all, the event was a classic Obama Administration affair: Kerry spent the first third of his speech making his audience happy (“I’m so pro-Israel, they gave me the keys to one of the planes!”); the second spoon-feeding them what they already knew (“Palestinians deserve a state too, c’mon”); and the final third telling them what they didn’t want to hear (“unilateralism is terrible”). The people who think somehow because there is a fence and because there’s been greater security and fewer people hurt are lulling themselves into a delusion that that somehow can be sustained. It cannot be. We will always stand up for Israel’s security. But wouldn’t we both be stronger if we had some more company? It was, honestly, a terrific speech, not least because Kerry was honest about things that folks in the trenches have been begging the U.S. to be honest about for years—but terrific speeches can only do so much. And only if the stakeholders are actually interested. I don’t know how Obama and Kerry look at the current Israeli government and think there’s any hope of any movement toward even the most basic requirements of any peace deal any time soon, much less in the next couple of weeks. It’s a government controlled by the settler agenda, with several ministries in the hands of actual settlers, and all that “Lead Peace Negotiator”/Justice Minister Tzipi Livni can do is what she’s already doing: be a fig leaf. But surely Obama and Kerry know this. Neither man is a dim bulb, and neither is unfamiliar with the players. Are they hoping to provoke a governmental crisis? Trying to nudge Israelis (69 percent of whom have said they would support Netanyahu should he change his spots and pursue the Arab Peace Initiative, but who recently voted overwhelmingly for parties that didn’t in any way address the need for a two-state peace) into demanding action? Does the Administration know something we don’t (always a possibility)? I’ve tried and failed to lose all hope for Israel/Palestine more times than I can count. I’ve been in two-state game since the first intifada, and probably should have moved on to Celtic Studies by now. Part of me genuinely thinks that Kerry’s efforts are doomed—but another part isn’t ready to let go. It was a terrific speech. I’m going to hold out a sliver of hope that a man who knows Israelis well enough to nail the accent might also know them well enough to move the dial. Because honestly: There’s no way to unilaterally achieve peace. Hey, Louie Gohmert: Stop using Israeli blood to score political points. When dealing with certain politicians, to borrow a phrase from comic Patton Oswalt, I don’t always know where to start or where to begin. Take Rep. Louie Gohmert (R-TX). Gohmert appeared on CSPAN’s Washington Journal on Wednesday to discuss immigration reform, but he and host Greta Brawner understandably opened with the Boston Marathon bombings. Gohmert led by singing the praises of 9/12—that is, the day after 9/11: “There were no hyphenated Americans that day, there were no Euro-Americans, African-Americans, everybody was an American, and it was just such a warm time,” he said. Ok, first of all: I have the sneaking suspicion that hyphenated Americans who have the words “Arab,” “Muslim,” “South Asian,” “Iranian,” “Sikh,” or, in some cases, “Latino” to the left of their hyphen would beg to differ regarding the warmth of 9/12. These Americans surely suffered alongside the rest of us (indeed, some were among the dead), but pretty much no one let them forget that hyphen—not for a day, not for a minute. We’ve seen this in Israel, and after Israel had to suffer the slings and arrows, and deaths and the maimings for so long—I’ve been in the coffee shops over there: ‘Oh this was a coffee shop where a bomber killed a bunch of people, oh this is a park bench area where people were killed, that’s where that bus blew up that killed a bunch of people’…. Finally the Israeli people said, you know what: Enough. They built [the Security Barrier] to prevent snipers from knocking off their kids and they finally stopped the domestic violence from people that wanted to destroy them, and I am concerned we need to do that as well. Where to start? Where to begin? I know the bombing sites of which Gohmert speaks—at least, I think I do. There was a coffee shop/park bench bombing about two half blocks from my Tel Aviv apartment; the bus I rode nearly every day was bombed at least twice. I covered these stories and others like them for the foreign press, so unlike Gohmert, I actually saw the blood when it was still on the ground. And yes, the Israeli government said “Enough” and built a massive wall, one which snakes throught the Palestinian West Bank at its leisure and at the Palestinian people’s expense. 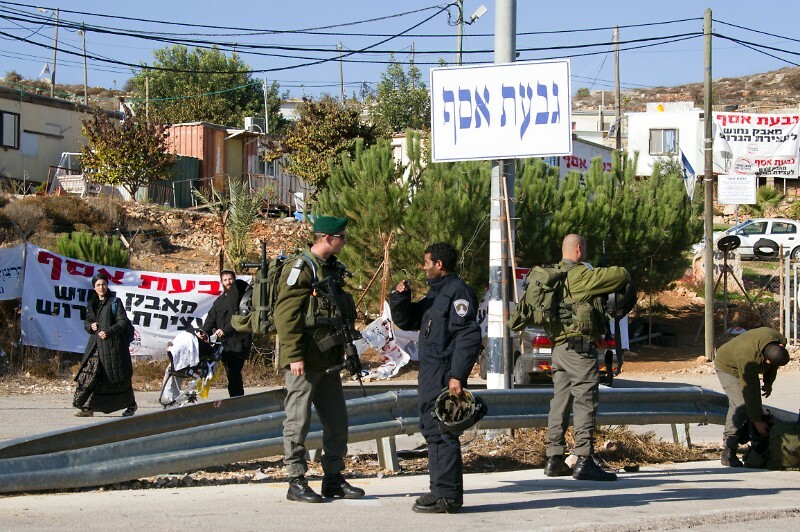 The wall (along with the Israeli- and American-acknowledged help of the Palestinian security services) did put a halt to most terrorism—a fact which must not be discounted—but in the meantime there have also been three official wars, a war-in-all-but-name (2006’s Operation Summer Rains) and endless skirmishes. “Security,” it would seem, remains an elusive goal. We know al-Qaeda has camps over with the drug cartels on the other side of the Mexican border. We know that people are now being trained to come in and act like Hispanic when they’re radical Islamists. We do? We know that? We know that “radical Islamists” are being trained to “act like Hispanic” so that they can—what now? “Knock off” American children in coffee shops? And we know that a wall like Israel’s (which, by the way, Palestinians by the score regularly get around in order to work inside Israel) is what’s going to stop those al-Qaeda snipers? And I presume we likewise know that violent resistance to foreign occupation is just like al-Qaeda’s pan-national nihilism? Look, Gohmert’s a kook with a Washington office. This is the man who once said that terrorists are coming to America and having “anchor babies” in order to destroy us from within—I don’t expect a lot of sense from his corner of the Capitol Building. I’d ask for verifiable proof of these outrageous allegations, but as I rather suspect he doesn’t have any, I won’t hold my breath. But here’s the thing: I am so, so tired of American politicians using Israeli blood to score cheap, xenophobic political points on U.S. soil. You hate immigrants, Muslims, Latinos, and/or babies? You go on with your bad self. You spread whatever wild fantasies you want to spread about people acting all “Hispanic” and we’ll leave it to the voters to decide whether or not they want to believe you. But my people actually bled and died. Again and again and again. Israelis have often lived with a kind of numb, daily fear about which Louie Gohmert knows nothing. It’s a kind of fear that the people of Boston have now come to feel, too—and neither Israel’s blood, nor Boston’s, should ever be used as a tool for political gain. 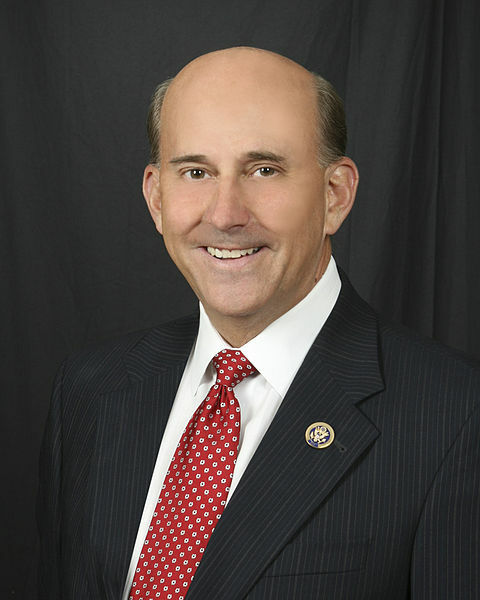 Louie Gohmert should be ashamed of himself. Lord knows he’s an embarrassment to the rest of us. How did your Senators vote on background checks? Let them know what you think. Well, despite the fact that 90% of Americans want to see background checks for gun purchases written into law; despite the fact that the bill actually got a majority of votes in the Senate; and despite the fact that some 3,500 Americans have been fatally shot since the Newtown massacre on December 12 – the Senate voted down the Manchin-Toomey background check bill. I will be honest: I am so angry, I can hardly see straight. This is not right. By any measure. At the same time, I agree with the President: This is Round One (you can watch the video of his very powerful, and very angry, statement, below). This will happen, if we don’t lose focus, if we don’t lose our passion. If we continue to stand up and say that something has to change – we will bring that change. Here’s how we do that: We don’t let up. We keep the pressure on. If, on the other hand, your Senator(s) voted no, call them and tell them what you think – here’s the list of all the nays, by state, followed by their direct phone numbers* (if you’re looking for email addresses, go here). *Please note: I copy-pasted these numbers from the Senate website. If something’s amiss (my fault or theirs) you can always call the Capitol switchboard at 202-224-3121 and ask for your Senators by name. Big, big h/t to my internet pal @ferallike, who started tweeting out phone numbers almost immediately upon the completion of the vote. Senate vote Wednesday afternoon on gun purchase background checks – CALL YOUR SENATORS. It’s a moment of truth for the centerpiece of Congress’s efforts to curb gun violence — the first major effort in nearly two decades. Defeat would be a huge blow to the cause and to the families of the Newtown, Conn. shooting victims who have urged Washington to act. Call them, call them, call them – and if you’ve already done this once, please do it again, even if your Senators are Republicans and you know they’re opposed. They need to hear from us over and over – nearly 3,500 Americans have been fatally shot since the Newtown massacre on December 14. The US Senate: 202-224-3121. If you’re not sure who your Senators are, find them by clicking here (if you’d rather send an email, you’ll find that information here, too). The White House: 202-456-1111 Let President Obama know that you support his efforts, and encourage him to continue to fight the fight. Senate Democrats were desperately working Tuesday to keep alive the modest bipartisan legislation to expand mandatory background checks to some gun sales, claiming momentum in public and offering new concessions to skeptical senators in private. Republican opposition is growing to a bipartisan Senate plan for expanding background checks for firearms buyers, enough to put the proposal’s fate in jeopardy. But the measure may change as both sides compete for support in one of the pivotal fights in the battle over curbing guns. The Senate was continuing debate Tuesday on a wide-ranging gun control bill, with the focus on a background check compromise struck last week between Sens. Patrick Toomey, R-Pa., and Joe Manchin, D-W.Va. Manchin said the vote on that amendment was likely to be delayed from midweek to late in the week, a move that would give both sides more time to win over supporters. President Obama: Free Jonathan Pollard. Petitioners campaigning for the release of jailed Israeli-American spy Jonathan Pollard planned to mark his 10,000th day in U.S. prison on Monday by holding a vigil outside U.S. Secretary of State John Kerry’s Jerusalem hotel. … The movement to see Pollard pardoned has gained increasing support among both Israeli and American Jewish leaders and officials. 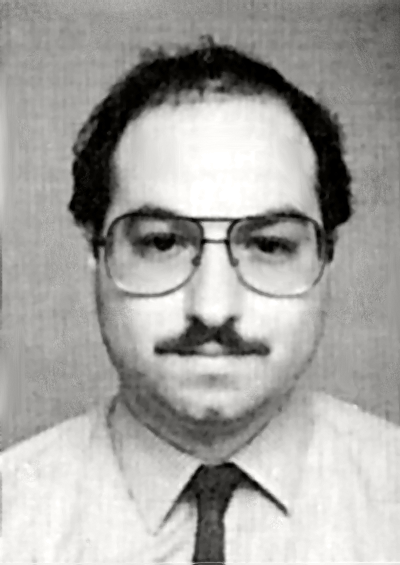 I will freely admit that I’ve long been of the opinion that if you do the crime, you should probably be willing to do the time, and in Pollard’s case, this has meant a life in prison as a result of breaking his country’s laws regarding a little thing known as espionage. Which, you know, is kind of a big deal. Not to mention that Pollard broke his plea bargain commitment to avoid press hoopla at the sentencing stage, and not to further mention that the entire case provides fodder for those who would unjustly accuse American Jews of dual loyalty. Dude, how you gonna do that to your people? Yet lately I’ve begun to come around to the notion of granting Pollard clemency—though I will also admit that my change of heart is not entirely altruistic. Then there’s the fact that Pollard was held in solitary confinement for seven of those 28 years, plus the fact he’s up for mandatory parole in November 2015. First of all, I cannot in good conscience dismiss the importance and impact of those years of solitary confinement, and given sentencing precedents, I’m pretty well convinced that simple fairness suggests Pollard could reasonably be released at this point. He wasn’t exactly passing documents to the Soviets, and not to put too fine a point on it, but: Nobody died. Then there’s this other thing, the point at which my thinking grows decidedly less altruistic: President Obama and Secretary of State Kerry are giving every impression of wanting to produce a breakthrough on Israeli-Palestinian negotiations. Whether they’ll succeed is an entirely different matter, but as Obama’s trip last month proved—starting with the fact of the trip itself, all the way through to the last-minute phone call to Turkey—diplomacy is, more often than not, advanced by the pulling of levers far away from the problem at hand. I don’t like Jonathan Pollard, and I think what he did was pretty indefensible. He’s not on my Fantasy Seder list. But to be perfectly blunt: Israel’s right wants him released, there’s no compelling reason not to release him, an argument can be made for clemency, and he’ll be up for parole in two and a half years anyway—and bringing Pollard home to Israel would be a public relations coup for Netanyahu. If he has Obama to thank for it, another lever is pulled (plus—bonus! America’s institutional Jewish leaders have one less thing to complain about). I realize that I’m essentially suggesting using Jonathan Pollard as a bargaining chip, and as long as I’m admitting things, I’ll admit that I’m not at all comfortable with the idea. People are people and deserve to be treated with human dignity, regardless of their legal status. But given the circumstances, and given my conviction that there are some pretty good reasons to let the man go, I’ll make my peace with that discomfort. Especially if pulling that lever might help move us closer to a genuine and secure peace for the Israeli and Palestinian peoples. And that’s the question, really: Would clemency for Jonathan Pollard, a traitor who managed to also make life harder for his own community, actually help bring a two-state solution closer? If so, Mr. President, I say: Release him, and let Israel celebrate as much as they want. But make sure you’ve got a solid deal in your pocket first. As an Israeli, I can assure you: My other government’s promises aren’t worth a lot more than Pollard’s loyalty. Reid: Senate could vote on gun measures as soon as Thursday. Reid said that he would move to cut off debate on a gun control law on Tuesday evening with hopes of beginning votes as soon as Thursday on existing Democratic legislation passed out of committee last month…. The Nevada senator’s position has been strengthen[ed] as a series of Republican senators – in the face of mounting pressure from President Barack Obama – have said they would not join with their more conservative colleagues to force Reid to produce a filibuster-proof 60 or more votes to move forward with debate on gun legislation. As of this day, Tuesday April 9, at least 3,346 Americans have been fatally shot since the Newtown massacre. Call the US Senate: 202-224-3121. If you’re not sure who your Senators are, find them by clicking here (if you’d rather send an email, you’ll find that information here, too). Call the US House: 202-224-3121. If you’re not sure who your member of Congress is, find him or her by clicking here (if you’d rather send an email, you’ll find that information here, too). Call the White House : 202-456-1111 Let President Obama know that you support his efforts, and encourage him to continue to fight the fight. Hi, I’m calling from [location], and I just wanted to make sure that the President/Senator/Representative knows that I support the White House gun control initiative. I think the President’s plan, in particular the idea of background checks, is simple common sense, and I very much hope that the Senator/Representative will support/not block upcoming legislation.